Innovative Card Technologies, developer of the ICT DisplayCard for e-banking, e-commerce and data access authentication, and ActivIdentity, a provider of identity assurance solutions, recently launched the Smart DisplayCard. Smart DisplayCard is the first product to incorporate a one-time passcode display and a PKI chip into a wafer-thin card format, according to the companies. Developed and supplied by Innovative Card Technologies, the ICT DisplayCard integrates the security of a one-time passcode token directly into a card the size of a standard payment card. 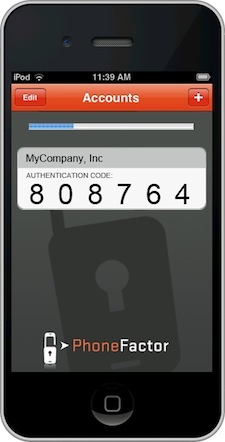 At the push of a button on the card, a one-time passcode is shown on the card’s integrated display. During an online transaction, this number is entered into a user interface with other information such as the user’s login name and static PIN for multifactor authentication. The addition of a chip on the Smart DisplayCard enables PKI login, email encryption and digital signature capabilities, and is fully integrated with the ActivIdentity Software portfolio. Smart DisplayCards are currently available to the ActivIdentity global customer base and the company’s more than 15 million end users worldwide. The Smart DisplayCards can secure a wide range of financial institution customer transactions (login and transfers) at multiple points of access (online, ATM, or by phone). For enterprises, the Smart DisplayCards provide a complete, strong authentication solution for Windows login, remote access, single sign-on and secure email/transactions. The device and all credential management are driven through the ActivID Card Management System.